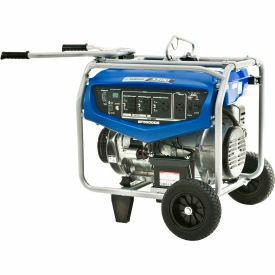 When you are looking for a hard-working, versatile generator that delivers excellent value, the EF5500D is ideal. 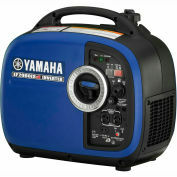 The EF5500D offers the Contractor and home back up customer 5500 watts of power and full time 120/240 dual voltage. Ground Fault Circuit Interruption (GFCI) senses a leak to ground to reduce risk of electric shock. The EF5500D features a rugged design with full roll cage protection for heavy jobs and lifting eye convenient for hoisting and security. 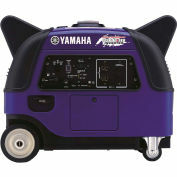 Comes standard with wheels and fold-down/locking handles. The new and improved OHV MZ360 engine with a hemispherical head offers efficiency, increased reliability, and quieter operation. Eight hours run time at full load – 13% longer run time than previous model. Digital Hour Meter, Digital Volt Meter displays total run time accumulation for servicing and indicates the voltage output. 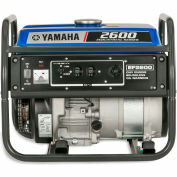 Yamaha generators have the longest emission engine durability ratings issued by the Environmental Protection Agency and the California Air Resources Board.